My bottle of Stranahan’s Colorado Whiskey, like every other bottle of Stranahan’s Colorado Whiskey, arrived with a tin cup over the cork on top. But unlike other bottles of Stranahan’s, my tin cup wouldn’t come off. It was stuck, and I wanted it off. I pulled, I pried, I yanked. I tried (gently) using knives and shivs and needle-nose pliers. And then I tried again (not-so-gently). Nothing worked. That cup was like a musclebound security guard protecting the treasure within the bottle. And I hated him for it. I wanted the good stuff inside. Luckily, the folks at Stranahan’s were very kind – they sent me a replacement bottle and had me ship back the impenetrable one. They said, “We run into this issue from time to time, seems to be slight differences in the bottle/cap manufacturing.” Fair enough. As long as I finally got to open a bottle of Stranahan’s. 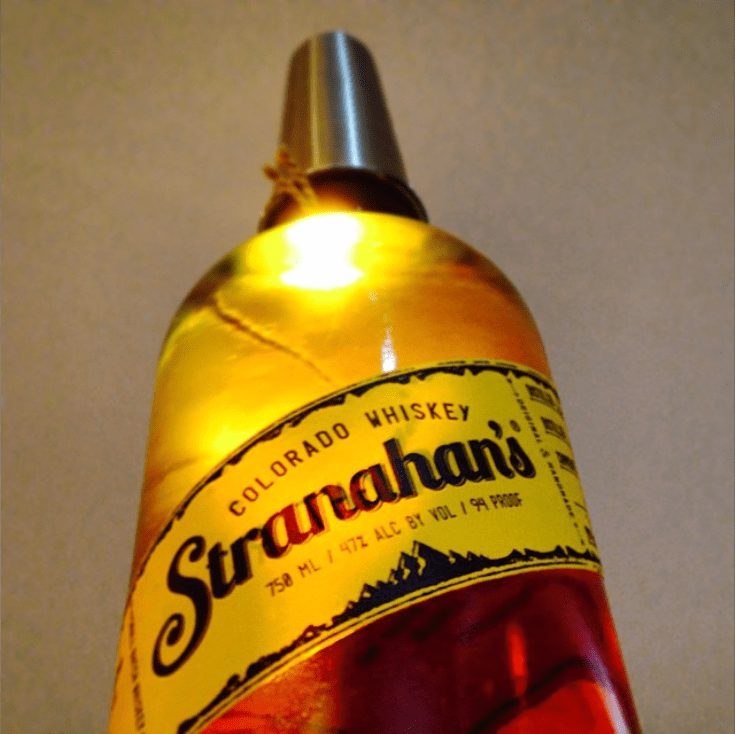 Stranahan’s is made in Colorado – you can visit them on South Kalamath Sreet in Denver. They started distilling back in 2004, and released their first bottles in 2006, eventually becoming one of the most well-known craft whiskies out there. In 2009, they won Whisky Advocate’s Artisan Whiskey of the Year award. Not bad, right? In 2010, they could be found in 38 states, but then made a sudden shift back to focus on supplying their home state of Colorado, plus letting supply (low) catch up to demand (high). They ramped down distribution, and ramped up production, and in late 2014, they went national again. I’m guessing those four years allowed them to build a bit of a whiskey cushion. Stranahan’s describes their whiskey as such: “Born in the fires of George Stranahan’s old barn, our whiskey has always been hand-crafted exclusively with Colorado grains and Rocky Mountain spring water. Straight, rugged, and strong… double-distilled in small batches from our proprietary blend of four barleys, and then aged in virgin-charred American white-oak barrels.” (I can just picture the virgins charring that white American oak.) The important thing here, at least to me, is the four barleys (“primarily from locally sourced Colorado malted barley”). This is not bourbon – which is predominantly corn with barley and rye or wheat mixed in. And this is clearly not Scotch – which is, well, made in Scotland from malted barley and typically aged in used barrels. But Stranahan’s shares characteristics with each of those two great pillars of the whiskey world. The all-barley mash like a single malt Scotch, the new charred oak like an American bourbon. And it makes for an intriguing marriage. As for the aging, on the bottle, Stranahan’s simply states a “distilled on” date, which does a bit of a disservice to the whiskey inside since it corresponds just to the youngest portion in the mix. I had heard it was a batch of different ages, but reached out to Stranahan’s to get a bit more detail. Head distiller Rob Dietrich shared that, indeed, “each batch is comprised of 2 year, 3 year, 4 year and 5 year old barrels for greater complexity and quality.” They use a #3 char on those white oak barrels then “cut the finished whiskey to 94 proof using local Eldorado Springs water, sourced from Rocky Mountain snowmelt in Eldorado Springs, Colorado.” Mmmmm, melted snow. Take off that tin cup cap, and pour some Stranahan’s in. Take a whiff. It’s kinda subtle, reminds me of… cereal. Ever have Quaker Brown Sugar Oat Squares? That’s what this is, with alcohol (no milk required). There’s a bit of warm wood, cedar even. But mostly sweet toasty grain. Now have a sip from that tin cup cap. Slow burn. Smooth burn. Balanced burn. Red hot and a touch of honey, not too strong, not too sweet. There’s an austerity to it compared to most bourbon. That’s the barley (I presume). There’s also a fine dustiness – not the kind of woody sawdust that older bourbon gets, but something like the fine powder of sugar and grain at the bottom of a used-up cereal box. A few more sips and something nutty comes out – pine nuts? Almond paste? Pine nuts, I think. Nuts. It’s just intriguing and fleeting and flirting around. A cube of ice brings out some port-like notes on the nose, plummy red wine. More clove-spiced fruit, apples and oranges on the tongue. It gets denser and deeper. But less… Colorado. Less… out west and away from Kentucky. All I can say is, damn, this is lovely stuff. 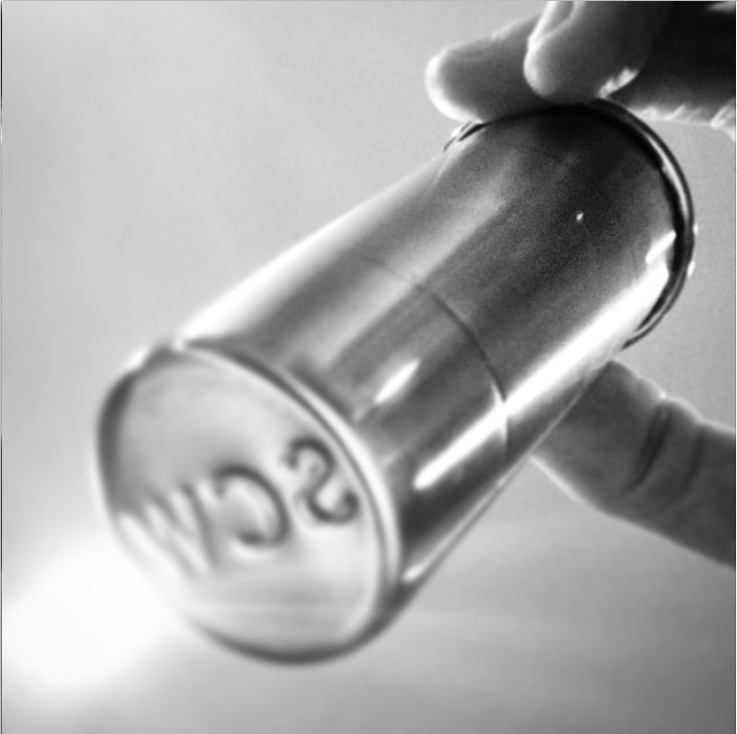 Once I got that tin cup cap off, the whiskey practically flew out of the bottle. Faster and flightier than any bottle I’ve opened in recent memory. The 94 proof is right on, no need for water, no need for ice. Don’t mix this into cocktails. Really. Just enjoy. I wish it were a touch less than the $55 or so I see around town. But, then again, it’s worth it. Full Disclosure: Tasting sample provided by Stranahan’s. Enjoyed this post. I travel to Denver frequently for work and picked up a bottle a couple of years ago at the recommendation of a colleague there. Really thought it was fantastic and a nice change of pace. Was so glad to see bottles stocked in Atlanta now, means I won’t have to check my bag on my return flights from Colorado anymore! I have tried Stranahan’s multiple times, and it tastes about what you would expect a 2 year old whiskey to taste like, weak and, dare I say nearly undrinkable. I would put Benchmark, Evan Williams, Elijah Craig and a host of others above this. Proof that with fancy enough packaging and slick marketing you can fool most of the people, most of the time. Trist, we’ve all got different tastes – I happen to think the Stranahan’s is fantastic, and nothing like a typical 2 year old whiskey. Though I do dig Evan and Elijah, too. Please tll us how does it differ from the taste of McCallum or Glennmargie – or any other good, single malt scotch?? T.F. – Stranahan’s is definitely a different beast than a Glenmorangie – due in large part to the barrel approach – so you’ll get more sweetness, more vanilla, more toast/char character than a typical Scotch (and nothing like peat).